The value chain framework has made its way to the forefront of management thought as a powerful analysis tool for strategic planning. Its ultimate goal is to maximize value creation while minimizing costs. 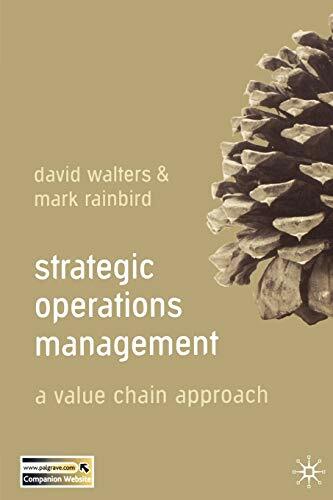 In this book David Walters applies the framework to strategic decision making in the field of operations management.